I think we can count out a cauldron suspended above the infield entirely, also for future Games. That's the space needed for ceremonial rigging, and it's also too dangerous. I speculated heavily about a suspended cauldron for the Beijing Games, but now I know it's an unrealistic scenario. Well, I would love to take guesses about the lighting method in London -- if I only knew where the cauldron will be located. But I doubt that they will try something completely new. If they'll have a cauldron tower, I think some wire carrying the flame to the top of the cauldron would be the most probable. They could also carry the final torchbearer by wire to the top, but that would be pretty much alike Beijing. I sincerely hope they won't use fireworks like Torino -- and also refrain from using an automatic lighter, just like Vancouver did for the central pillar of its indoor cauldron and for four of the five pillars of the outdoor cauldron. Keep it genuine, use the original flame. I'm very puristic about that. But after all, since I'm very clueless about the location of the cauldron, I'm even more clueless about the lighting method. It's almost nerve-wrecking! They still have to test whether the torch can also be carried by zip wire. A hint for the lighting method of the cauldron? Is there any testing still to do? Clare Pelly: We need to test it being carried by someone on a zip wire - initial tests have gone very well. We're just making sure for safety reasons. Seen in Stratford, close to the Olympic Park ????? False alert ! Apparently it is a sculpture for the new IKEA shop !!! Its part of the new urban village ikea is building right next to the olympic park. I think there are three of these "torches" of varying size going to be installed. For once, I want a cauldron actually shaped like a cauldron ala Barcelona, Seoul, etc. Does anybody know what for they set up that crane next to the Orbit? Does anyone know what the tennis courts in the bottom of the Olympic (south of the field hockey and basketball venues) are being used for? the maximum footprint area of the Cauldron structure to be a minimum of 28 square metres and max 710 square metres. The remaining questions now are what the Cauldron supporting structure and the cauldron itself it look like and, of course, the mechanics/supporting structure of how will it be lit. I would think the beginining of the lighting sequence will start (traditionally) from within the stadium arena, but then.... ? Perhaps the flame and or a person with torch being carried up to the Cauldron over the rim of the stadium. Perhaps also the white boxes referred to earlier on the stadium rim form part of the mechanical supporting structure for the flame's journey up and out of the stadium. As I am in Australia and havent visited the site, can anyone tell from this diagram is the location on this planning document is also the Orbit Structure outside of the Stadium that is already built? If it is then the cauldron will ikely be incorporated into the already huge and complex Orbit structure and will then be the first Cauldron in Olympic history upon which the public can walk up and view the flame from the cauldron structure - albeit it a distance. If this is the case, then the cauldron part of the Orbit structure has not been attached as yet - plenty of time yet to do that in the dead of night one night when no cameras around. On the other hand, if the Cauldron structure in this planning document is separate to the Orbit then it has yet to be erected according to the latest April-12 photos from the Olympic website. It will then be hard to keep its construction under wraps. As mentioned in earlier posts by another fan, the way the Cauldron will be lit may end up being the big and magical mystery of the Opening Ceremony, rather than the Cauldron itself. Just did a hunt for maps of Olympic Park - hard to find any that mark the Orbit location on them - but I found one and it appears the cauldron location on your plan doesn't match the tower - one of our Londoners can confirm if that's right or not, but it would seem to agree then with the various denials that the Orbit will double as the Cauldron tower. And great to welcome another Aussie to the board! If this is indeed a recent photo associated with London 2012, then the organisers look like they are erecting huge replicas of the torches from some previous Games, somewhere in London's Olympic Park to add to the historic atmosphere. Sydney did something similar with solar powered lit blue "glowing" towers for each of the previous Olmypic Games and the year they were held. Those eco-lighting towers are scattered around Sydney's stadium and are permanent features. On this map this is not the Orbit (the orbit in on the other side of the river, not on the stadium concourse. And this location close to the stadium is no more available to built a cauldron. They already raised temporary pavilions at this location. Yes this a recent photo taken last week. But it has been highlighted that it was a sculpture for an new IKEA complex ... but may be it's a lie !!!! There is room there still, i'm sure. I still think it'll be somewhere in that vacinity and the original planning apps are accurate. And welcome to the boards AustralianFan! Question, is there an AussieTeam2012 support page on here yet? Maybe its my love of surprise unveilings, but I kinda hope the cauldron is not attached to the Orbit.... I just can't imagine a giant flame burning on it. In regards to the cauldron in general, I hope they keep it simple and light it with the actual flame, no fireworks. However, having the cauldron on top of the Orbit seems like the best possible choice in terms of accessibility and viewability. Everyone in the park can see the flame and even from far side of London. 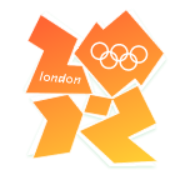 It really will be a beacon of flame shining through all of London. I also like the idea that people can ascend the tower and get close to the flame. It will be a great sight to behold with a big flame on top of the Orbit. I am still holding my gun on this. Whatever alternative tower structure discussed will seem pale in comparison with the scale and height of the Orbit. Also the Orbit will remain after the Games and will serve as a potent reminder of that tower where the Olympic flame was located. Hey Kevzz, I imagine it would be a great sight to see, with the Orbit being as tall as it is. Hope to make it out there one day and see it in real life...one day. I have to say, it is looking more and more inevitable as we draw closer to the games that the Orbit is the Cauldron, or at least the supporting structure. Eitherway, I am sure I will like it. Here's a quick sketch of how I envisage the Orbit cauldron to be. The Heatherwick designed cauldron with be perched on top of the observation rotunda. The public can have access to the outdoor walkway (marked blue) beneath the 'cauldron podium', so they can walk around the cauldron. The cauldron will be a marvel of design that is best appreciated upclose. The wall around the podium can have some sort of engraving with past olympic heroes etc. I am really excited Tornero. Yesterday there's this piece in evening standard, which is quite moving and made me can't wait for the Games to come! So can I make this plea and urge everyone reading this to forget about the huge cost of the Games, where all the tickets have gone, stop worrying about travel gridlock, stop complaining if you are not allowed to drive in certain lanes, or if cabbies are putting their prices up, or Tube drivers are getting a bonus, or if former drugs cheats are allowed to compete, or if David Beckham is picked to play for the football team. None of that really matters! What does is that we are about to host the biggest sporting event on the planet for the only time in our lifetime, so start enjoying it.